My go-to banana bread recipe loaded with blueberries is perfect for easy summer baking. There are a few basic recipes everyone should have in their back pocket. A chocolate chip cookie, a basic dependable chocolate cake, and fudgy brownies. You should also have a go-to banana bread recipe. Need something to bring to brunch? Banana bread. A bazillion almost-rotten bananas on your counter? Banana bread. Want an easy after-school treat for your kids? Banana bread. I’ve made a few and shared them here, but this is my favorite. I think of it as an every day banana bread because it’s made with whole wheat flour and very little butter and it’s super easy to make (no mixer required). Plus, the light and moist base lends itself to any kind of mix-in you would like (blueberries, chocolate chips, cinnamon chips, or even peanut butter chips!) making it extra handy. Have I sold you yet? If so, head over to Meyer’s Styles for the recipe. Save it and use it all the time! I have a go-to totally decadent special occasion banana bread recipe…but I am definitely in need of something like this! Off to check it out! Sadly I have not tried adding other fruits to my banana breads before. Shameful I know! Love that this is lightened up. I couldn’t agree with you more! 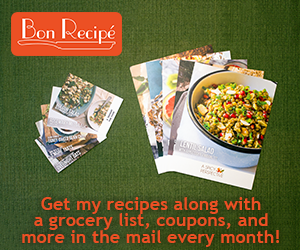 Everyone should have those basic recipes in their baking/cooking repertoire! I too had never really thought about adding other fruit to banana bread, nuts and chocolate and cinnamon of course! But fruit…. I must change this at once! Love that this is lightened up. I just bought a bunch of blueberries too. Time to make some! I love blueberries in my banana bread, they add some nice aroma and flavor, having a healthier option is always good.